Howard S. McClanahan, 89, passed away Monday, August 13, 2018 in Big Spring. Funeral will be held Friday, August 17, 2018 at 11:00 a.m. in the First United Methodist Church. Burial will follow in Pioneer Cemetery under the direction of Morrison Funeral Home. Howard was born November 23, 1928 in Graham to the late William Robert and Ola Sue (Rogers) McClanahan. He married Jean Stidham, February 9, 1956 in Breckenridge and she preceded him in death May 18, 1992. Howard served his country during the Korean Era in the United States Air Force, which is why he was able to be a resident of the Texas State Veterans Home. He was honored every day during his stay there. 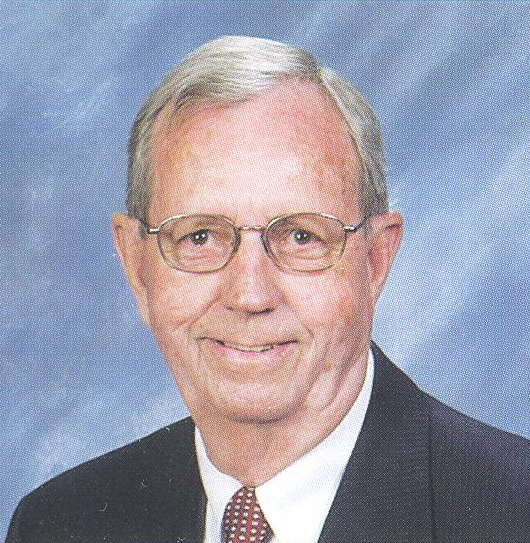 Howard was a member of First United Methodist Church. He was preceded in death by brothers, J.W., John, Leonard, Roger, and Durwood and a sister, Mary Botkin. Survivors include: his children, Russell McClanahan of Grapevine and Catherine Jackson and husband Joe of Midland; brother, Bob McClanahan of Graham; sister, Billie Jo Mosley of Austin; grandchildren, Robert Anderson and wife, Lisa, Erica Givhan and husband, Colby all of Midland, Meredith, Patrick and Nathan McClanahan all of Grapevine; great grandchildren, Chloe and Lexie Givhan, Hunter and Tyler Anderson all of Midland. Memorials may be made to Alzheimer's Association or First United Methodist Church in Graham. Visitation will be held Thursday from 6 to 8 p.m. at the funeral home.